In summer 2019, Netflix will release its remake of the ‘80s- and 2000s-era anime classic Saint Seiya: Knights of the Zodiac, an animated series about five cosmic warriors defending Earth against vengeful Greek gods. The original Japanese TV program featured a gentle male character named Andromeda Shun. 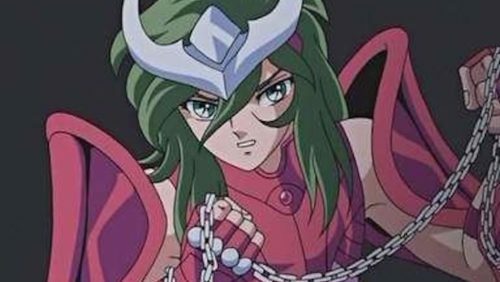 Shun had long green hair, wore magenta armor, was openly emotional and always tried to resolve conflicts without violence, despite being a skilled warrior. As such, some Saint Seiya fans viewed Andromeda Shun as queer or at least a groundbreaking depiction of a male warrior. However, Netflix’s remake will change Andromeda Shun’s gender to female, upsetting some fans. Here is a trailer for Netflix’s Saint Seiya: Knights of the Zodiac. The series has other strong female characters, but Son wanted to make one of the Knights female to avoid an all-male cast of protagonists. Following a fan backlash, he deleted his Twitter account. Generally speaking, Netflix has done much to elevate strong LGBTQ and female characters. But its attempt to be more inclusive here may prove a misstep. We’ll see if the viewers agree.